Responsive what now? Responsive web design, sometimes referred to as RWD, is a forward thinking idea, first proposed by Ethan Marcotte back in May of 2010. It instantly caught fire in the web design community, and left us geeking out all over the Twitterverse. Why is that a big deal to me, though? They have data speeds that are comparable to what you’d expect on your desktop. The result? Stripped down mobile sites can leave many users frustrated and clicking the “view full site” button. Responsive websites allow businesses to deliver the features and functionality that users want and expect on their desktop and mobile devices, all with just one site. Your full featured desktop site is your full featured mobile site. BOOM! It can be. Which is why most of the early adopters were trying it out on small, simple sites. Responsive WordPress blog themes started becoming popular; designers were redoing their personal portfolio sites. But the trend didn’t really extend to the business world. To many, it was more of a cool factor and less of a practical approach. After all, how could you go responsive with a feature-robust site that has separately optimized experiences for desktop and mobile? Too many variables on two different playing fields, right? Wrong. 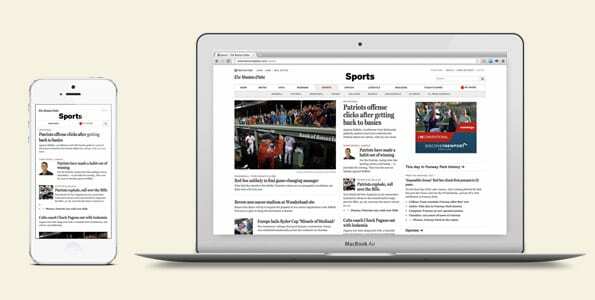 In September of 2011, the new Boston Globe launched. A mammoth of content and functionality, designed responsively. If you ask this guy: game changer. It wasn’t long until others started to follow suit. Companies like Starbucks overhauled. The President of the United States redid his site. Ok, I’m sure it wasn’t actually him, but that is just plain rad. Come on, now. Other major companies saw the merit in the approach but weren’t ready for a complete redesign, so they updated their homepages. Sony and Microsoft both did this. It was fast becoming clear, RWD had huge potential. Is Orbit offering Responsive Web Design Now? All of these will be affected by this new offering. So, needless to say, we had some planning to do. After countless meetings, internal prototypes, and hours of departmental training – we’re ready. Do we have it all figured out? Of course not; we’re always learning and growing as we go. What we do have is something special, and we’re more excited than you could imagine to share it with our clients. So what makes Orbit’s approach to RWD different? Our strength has always been, and will remain, offering affordable, highly customized, client-managed solutions to businesses seeking a successful web presence. Building million dollar websites that take a year to complete. Taking our already proven features and processes and updating them, one by one, to be responsive. Building low-cost, templated, feature-lacking websites that all look and function the same. Building sites that are too far out of the box just for the sake of a wow factor. Staying true to our goal of building effective websites for our client’s clients, who visit their sites seeking information in a task-oriented manner. (Are you sensing a theme here?) Our first few responsive projects recently kicked off, and we’ll be sharing much more on this topic as time goes by. We’re happy to answer any questions in the comments below, and we couldn’t be more stoked over here. 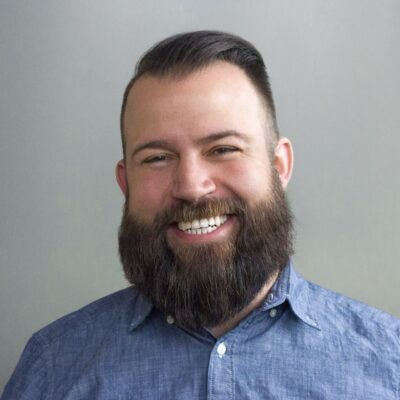 Kurt Cruse is a Lead Web Designer at Orbit Media. You can find Kurt on Google+ and Twitter. Kurt Cruse is the Creative Director at Orbit Media. You can find him on Twitter and Instagram. He would love to high five you. Couldn’t have said it better myself! Thanks for a great article Kurt. Looking forward to making responsive websites with you! <a href=”http://www.mobilewebsites.cc/brisbane”>mobile website design</a> and smartphone based content design for Brisbane businesses and organisations. Do not miss the mobile revolution. Major high fives. Awesome article KC! @minimins Thanks Sarah. Lets make em Top Gun, volleyball scene, awesome fives. Cool~ Responsive Web Design really nice for all users in pc, ipad and smartphone. Hi Kurt, thank for sharing this article. I have already started building a responsive mobile website. Well, RWD Is the norm these days in the word of web design. People who still aren’t aware of it are simply ignorant. Somebody should tell them what they are missing. Kurt, you just did the job by informing them about this necessity in such an articulated piece. I’ve always been an admirer of RWD sites, it really makes it a whole lot easier and pleasant to surf websites on my smartphone and iPad. Tx for the great post. i was using duda mobile and square space for mobile responsive. Now i can try myself to do it without monthly subscription. i want to convert http://www.smallmarketingcompany.com to mobile responsive. any suggestions….! Thanks. All the new clients need responsive web design for there business, all screen resolution must be compatible on BlackBerry, another for the iPhone, the iPad, netbook etc. and the latest technology made our life so easy. Hi Kurt.. thanks for sharing information regarding responsive web design. Really a great help. Awaiting for more such useful blogs.